Welcome to 2014! There’s no time limit to this kind of goal so we are still paddling! 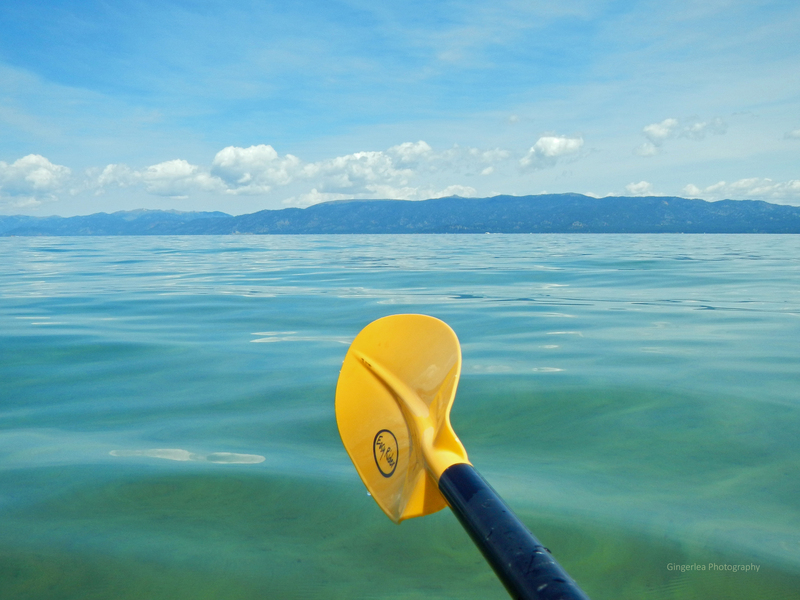 If you are just tuning into my little adventure here are links to my previous kayaking segments: PART ONE, PART TWO and PART THREE so you can get your paddle up to speed. We put in our boats at Lester Beach at Rubicon Point in D.L. Bliss State Park early in the morning, paddled through Emerald Bay and around Fannette Island then on to south shore’s Pope Beach. No small feat in nearly 9 miles of paddling on out of shape arms, let me tell you. Including our stop at Fannette Island in Emerald Bay at the “Tea Room” for photos, our boats spent about five hours on the water. No joke, I was tired. I think I am still am. My arms are telling me that last statement is just all too true. OUCH. 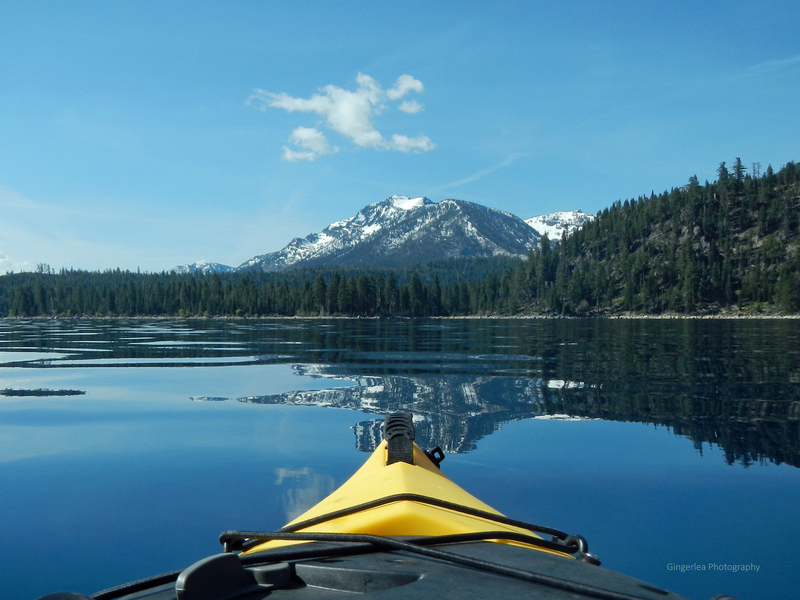 Of course, there are too many stories to tell from kayaking for that long but I don’t want to bore you with stories of eagle watching and calling seagulls in Emerald Bay “bagels.” (Get it?? Bay-gulls. Har-har.) I know the real reason that I was out there was to get some awesome photos. And, that I did. How about a look? 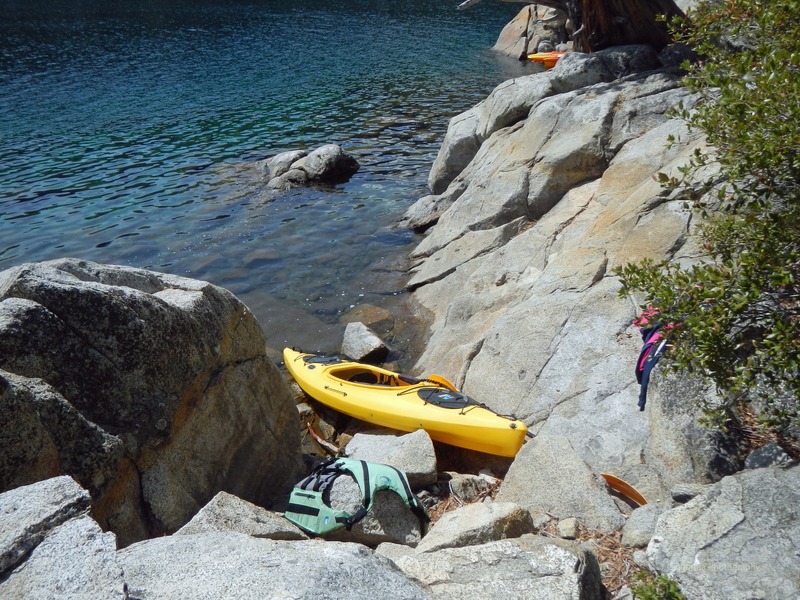 Then, we entered Emerald Bay. Vikingsholm Castle and Fannette Island are located here. We didn’t stop for the castle but we did make it around the island and up to the “Tea Room.” I have been to Emerald Bay many times and always wanted to get out on the island. This was a big deal for me! Just based on the number of photos alone, I should have split this post into several. But, I can’t hold back. There was just too much awesome. Did I mention I fell out of the kayak at Fannette Island? Yup. Cold, cold water. I didn’t mind, though. It was still a good day. For the record, all photos were taken with my Nikon CoolPix AW100. It’s a good, waterproof point-and-shoot. Please leave me a comment with your feedback or just a “like” to let me know that you stopped by the blog. Thanks! Some beautiful photos here, I’ve really been enjoying following your journey, thank you for taking us with you. Thank you. My arms seriously punished me for punishing them on this journey. Big lesson learned there. Yeeowwwch. Thanks for dropping by my site; This is very cool, especially the shot looking back at Eagle Falls. I was up there at sunset a couple years ago, looking directly at the spot where you took your photograph. Looking forward to seeing Bonsai Rock from the water. Not being a paddler, I had to settle for a shoreline shot. OK, sounds great. I’m looking forward to it.